If you are interested in using the Charlotte Mason philosophy with your young children, there are probably some guidelines that you often see in groups or blog posts. For example, you might have read over and over again that you should get your child outside 4-6 hours Every Single Day, no matter the weather. Or, maybe you’ve heard that Charlotte Mason was against kindergarten. These recommendations aren’t entirely true: they’re over-generalizations that might send your eager-to-learn brain into a tailspin. Charlotte Mason’s philosophy is not guided by rules, but principles. Because of this, generalizations often don’t fit. We have to analyze things on a case-by-case basis, rather than making a sweeping generalization about how to apply her principles to the early years. Some of the myths or generalizations that I want to share with you today are often repeated in Charlotte Mason groups. I personally believed some of them until I started digging into her volumes a little deeper. I hope that this post will encourage you to examine all advice you hear regarding Charlotte Mason’s philosophy instead of just taking someone’s word (and opinion!) for it! Myth 1: Children should be outside 4-6 hours EVERY DAY, no exceptions! Outdoor time, which builds the foundation of the Charlotte Mason early years, should be delightful for our children and for us. Charlotte Mason recommended that in nice weather, children spend about 4-6 hours outside each day. For some, who are blessed with beautiful weather throughout the year, this sounds doable. But what about those of us who are forced to wallow in frigid temperatures for four months of the year? How do we spend 4-6 hours outside with children who are so young that they can’t even verbalize that their fingers are cold? Charlotte Mason did not recommend taking very young children outside on sub-zero days. In colder months, from October to April, she recommended 2-3 hours outside per day. But, looking at the average weather of Ambleside, England, where Charlotte Mason lived, shows us that the average low temperature for January is 34 degrees fahrenheit. She did not brave single-digit temperatures with children, and for the most part, neither did her intended audience. Never be indoors when you can rightly be out. Myth 2: You shouldn’t teach your child to read until they are six. This is something that is based in Charlotte Mason’s recommendations, but is over-generalized. It’s true that Charlotte Mason didn’t recommend beginning formal lessons until a child is six. But, this doesn’t mean that we have to hide our eager learners from appetizing knowledge for the first six years of their lives! There are lots of by-the-way lessons that should occur: object lessons, foreign language lessons, and even early literacy lessons! Beyond learning letters at the age of two or when interested, Charlotte Mason recommended simple word building, which she did not consider to be reading. Children can experiment with new beginning sounds to make rhyming words, and will feel like they’re playing a fun game. Deterring a child’s interest in learning was never Charlotte Mason’s goal. 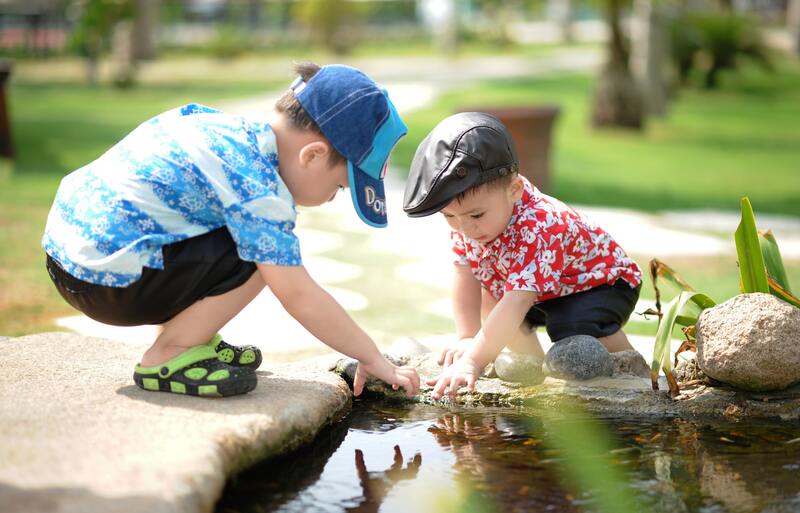 Instead, the early years are intended to give children plenty of playful opportunities to build a base for their future education. Learning the alphabet and early literacy skills can, and should, be playful! Myth 3: Charlotte Mason was against Kindergarten. Froebel, the “father of the Kindergarten” was highly respected by Charlotte Mason. She appreciated his principles and thought they were beneficial for young children. But, as happens with many great ideas, the concept of kindergarten became distorted and strayed from its original intent. This is perhaps why people so often say that Charlotte mason was against Kindergarten. In Home Education, Charlotte Mason lauded many of Froebel’s principles of Kindergarten. But, instead of sending children to a school specifically for Kindergarten, she thought that the mother would make the best kindergarten teacher. At home, we can build meaningful relationships with our children and teach them to observe, two of the vital concepts of kindergarten. Instead of having a very particular curriculum, Charlotte Mason knew that mothers could create the same amount of learning by-the-way, without specific lesson plans. 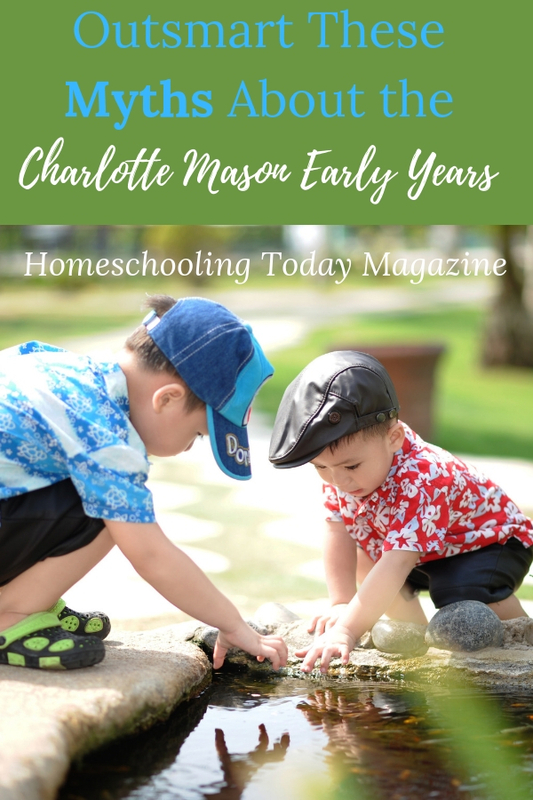 Calling your early years homeschool “kindergarten” is not at all against Charlotte Mason’s recommendations. Before feeling weighed down or restricted by Charlotte Mason’s recommendations that you hear, make sure that they are true, and decide for yourself what works best for your family. If your early years homeschool could use some organization and learning ideas, the Small Beginnings planner will help. You can learn about it here. Leah Martin taught in a Charlotte Mason school before leaving her job to stay home with her children. She started My Little Robins in 2016 as a way to keep teaching others and to connect with other like-minded moms. She and her husband have three children under the age of six, and together they enjoy exploring Colorado and reading lots of books.